The teenager flipped another page of her Cosmo Girl, before raising the same heavily painted fingernail to point wordlessly to the corner. “Thank You.” He responded, receiving no response in return. “Let me guess, roses again, Herald?” The curly headed girl asked from behind the cover of the flower-loaded cart. “It’s like you read my mind!” he responded. “Or maybe I’m just reading your routine.” They both laughed. He handed the flowers to her, and she glanced up, without even meeting his eyes to grab them out of his hand. She pulled them across the scanner, then sighed in annoyance when they wouldn’t scan as she crinkled their plastic wrap to angle the barcode again before retrying. “Aw.” Responded the teenager not amused. “Did you know every rose color has a meaning?” He continued, “White is typically associated with weddings, because it symbolizes a blank slate, like a new beginning. I guess seventy is a long way past our wedding, but she likes the white ones best, anyways. She’s always said that no matter how long you’re with someone every day can be a new beginning to a new wonderful thing in that relationship.” He smiled in remembrance. He paid the girl, and tenderly grabbed the flowers by the wrapper she had been wrestling and laid them gently across his arm. “Have a good day.” She unenthusiastically said in a routine tone. “So what’s the occasion?” she asked, while meticulously picking out the most vibrant of the white roses. She wore the melting of her heart on her face as she peered at the man still glowing in front of her. “Ten years. I can hardly get a guy to glance at me for more than two seconds, much less spend years of his life with me.” She gingerly wrapped the flowers with an accented bow. He smiled at her, thinking back to when he first met Anna. He thought of the way she used to insecurely keep her head down or back turned all through the day as if she were in constant hiding. The girl smiled, and pressed the fresh flowers to her nose before handing them across the cart. With her back turned to the road, as usual, she sifted through the flowers meticulously arranging them to form a sense of symmetry in every vase. She didn’t know. She never knew. He would never take his eyes off her until he had to. He had passed her cart on the way home every day, but she never seemed to look at anyone, much less him. He turned around in impulsion and began to march to the cart. He was going to be seen today. She jumped at the sound of his voice, then quickly gathered her composure and met him with a soft smile. “Well that’s interesting.” He leaned in closer hoping she would continue. When she only smiled he decided to help her along. “What about orange and yellow?” he asked pointing to the vase filled with the citrus mixture of blooms. He smiled at her, taking in every word she spoke as if in this conversation hid the key to solving all of life’s answers. “The white roses are my favorite,” She geared her smile at the loaded vase. The young girl’s eyes fell in sorrow as she saw the man approaching the cart. 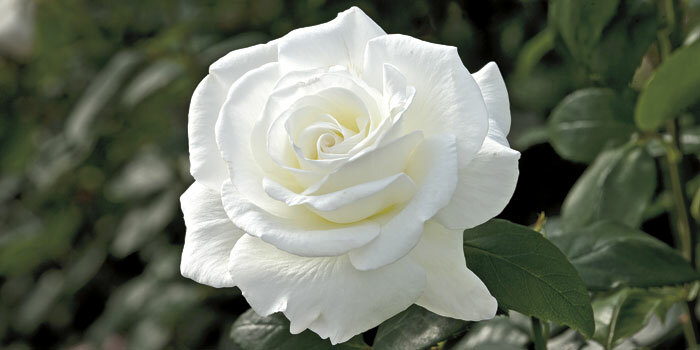 She went ahead and began picking the most radiant white roses to wrap for him. He smiled through his lack of energy and the girl returned it suddenly feeling his same drain. His young face, not even aged to the third decade yet, suddenly looked years older. She didn’t even ask, because she could only expect that his answer would be negative. She handed him the roses, and he smiled his regards, as he began to reach into his pocket. She merely caught his gaze and shook her head, and he didn’t even have the energy to argue. He merely thanked her in his sincerest of tones, before wishing her a good day, and sluggishly beginning his walk back to his dying wife’s bedside. He heard the bell chime behind him as the door to the, sadly modernized, flower shop locked all of the flowers back in the artificially lightened doom. He began a walk all too familiar, but never seemingly unpleasant. He approached the red rose-colored stone that marked the white rose soul of his long departed wife. Here he picked up the week old flowers and replaced them with the new ones.